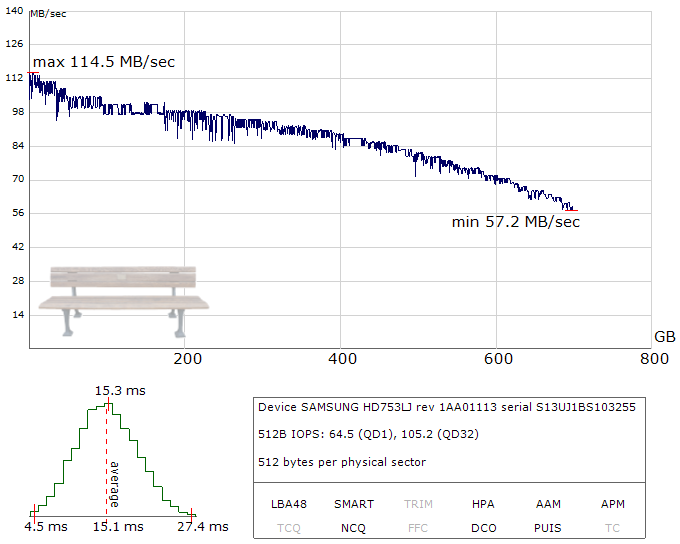 This is the sample benchmark chart for Samsung HD753LJ. Mechanical hard drive linear read speed decreases towards the end of the hard drive because per-track data density is higher in the beginning of the drive than in the end. Average disk access time is from 10 to 20 ms, typical for a consumer hard drive.